Are you looking for more easy dinner recipes?? 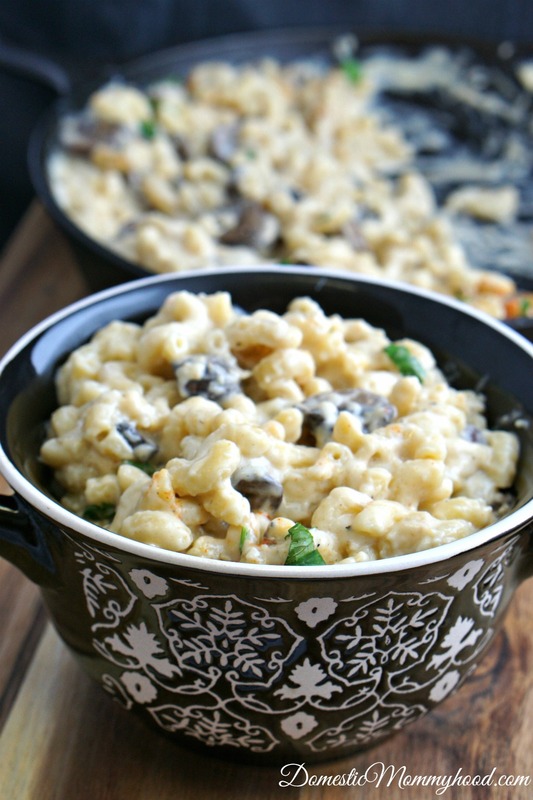 As you all know, I love coming up with new Skillet Recipes to share with you on the blog! My Grandma always cooked in a Cast Iron Skillet and so do I! It’s the pan with the seasonings build right in!! I just added this Cast Iron Skillet to my Christmas wish list!! I am really picky when it comes to cooking in the kitchen. Here is the way it has to be. Enough babbling about how to be happy in the kitchen!! Let’s get on to the recipe folks! Here is one of my favorite easy dinner recipes! Cook pasta according to package instructions. We boiled our elbow noodles for 9 minutes and they were perfect. Saute mushrooms and garlic in 1 tablespoon butter for about 5 minutes. Remove from heat and set aside in a bowl. In skillet, heat 3 tablespoons butter over medium heat. Add in flour, whisking constantly, cooking for about a minute. Add in milk, whisking constantly until it thickens. Add more flour if it doesn’t thicken up within 5 minutes. Keep in lower heat as not to burn. Mix in thyme, salt, cayenne, and black pepper. Remove from heat. 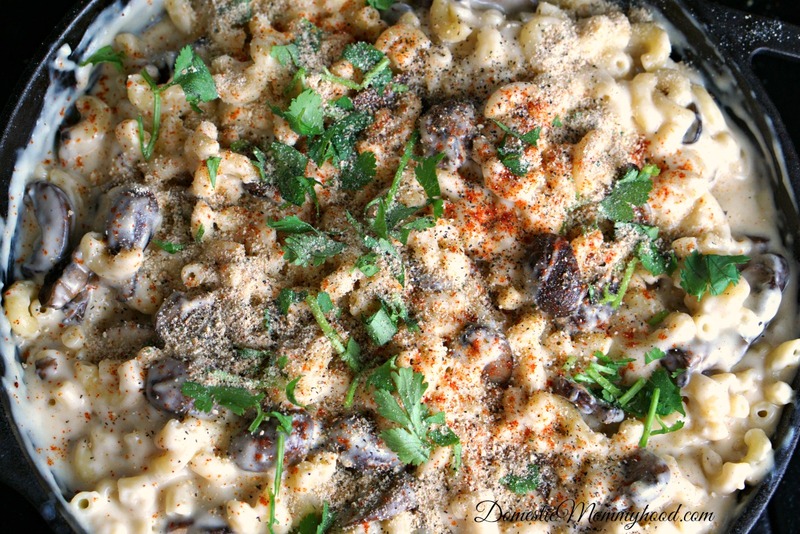 Stir in cheese, cooked pasta, and mushroom garlic mixture. Top with breadcrumbs and cilantro. 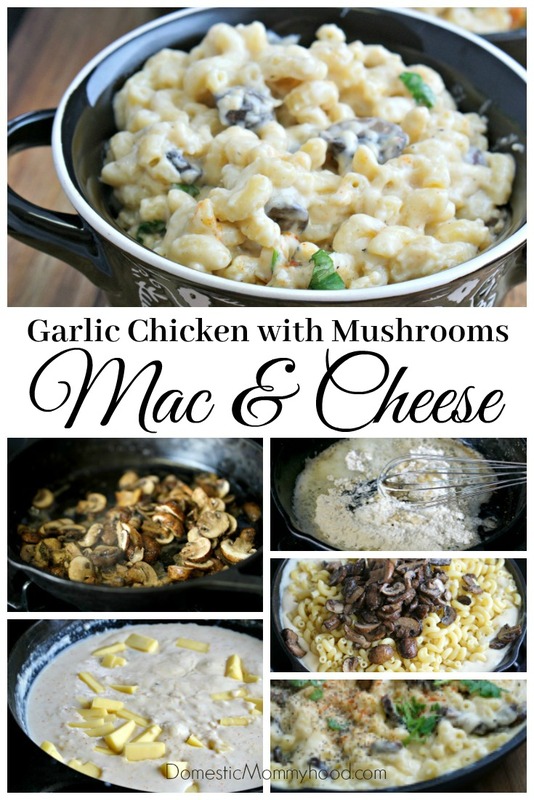 I hope you enjoyed the Garlic Chicken with Mushrooms Macaroni and Cheese Skillet Recipe. Make sure to sign up for my email updates to receive all my easy dinner recipes to your inbox!